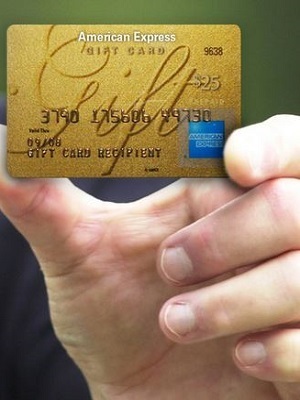 Thousands of people across the U.S. who had American Express gift cards could be in for a bit of money, after a federal judge signed off on a settlement agreement to end a class action over claims the cards could not be used everywhere, as American Express had allegedly claimed, and that the company had whittled away the cards’ value with fees, while actually reclaiming small balances left on the cards. Lawyers who represented the plaintiffs are set for a far larger payday from the settlement, but not as much as they had requested, after the judge, saying the settlement represented “the least bad option” available to the court, reduced their fees to come more in line with what she believed the proper balance should be between the amount plaintiffs receive and what the lawyers who litigated the case should be paid. On March 2, U.S. District Judge Joan B. Gottschall granted final approval to a settlement agreement in the case, docketed in Chicago federal court as Case No. 07-cv-1707, Kaufman, et. al., vs American Express Travel Related Services Co. In her opinion, Gottschall estimated class members would receive a share of a little more than $1.8 million. The judge, however, said attorneys representing the class and named plaintiffs in the action should receive a total of $1.95 million, with $1 million going to the lead counsel in the case, attorneys with the firm of Bock & Hatch LLC, of Chicago. Other attorneys for the class would receive $250,000, while attorneys for intervening plaintiffs, who joined the action after objecting to earlier iterations of the settlement agreement, would divide $700,000. Representing the intervening plaintiffs were attorneys with the firms of Daniel Cobrinik P.C., of New York; Miller Law LLC, of Chicago; Greenfield & Goodman LLC, of New York; Finkelstein & Krinsk, of San Diego; and Morris and Associates, of San Diego, according to federal court online records. The settlement has been in the works since the early days of the case, which was first filed in 2007 in Cook County Circuit Court by named plaintiff Saul M. Kaufman. American Express removed the case to federal court, and Kimberly Stegich was later added as a named plaintiff. The case centered on allegations American Express had defrauded people who held gift cards issued by the finance company. Specifically, the lawsuit targeted the company’s practice of charging fees, which reduced the value of the card beneath the dollar amount initially purchased, and the refusal of many retailers and other merchants to perform “split-tender” transactions, in which customers would use a small amount remaining on their gift card to pay for a portion of a purchase at a store or restaurant. The split-tender policy ultimately resulted in many small balances remaining trapped on the cards, until reverting to American Express. In court documents, plaintiffs had estimated the number of potential plaintiffs could number in the millions. However, after several rounds of notice attempts, only about 36,000 people submitted claims under the settlement. Initially, American Express had moved to activate a mandatory arbitration provision in the contract governing the gift cards use. But Gottschall had denied that motion. American Express appealed to the U.S. Seventh Circuit Court of Appeals, where lawyers for both sides said in court documents they expected American Express’ argument in favor of arbitration to find a more receptive audience. But the appeal was placed on hold while the two sides conducted settlement negotiations. According to court documents, American Express had indicated it intended to revive the appeal and push for individual arbitration with each potential plaintiff and class member, should the settlement talks fail to reach a deal. Gottschall, meanwhile, had refused to sign off on three prior attempts at settlement, noting prior attempts either didn’t do enough for class members or fell far short in attempting to notify potential class members. Gottschall, however, said she was more satisfied with the latest version of the settlement agreement and notification attempts. However, the judge said she was less enthusiastic about the attorneys’ fee request. The judge noted class counsel attorneys had alone requested more than $1.5 million in fees, while attorneys for the intervening plaintiffs – who had jumped into the action after early “abysmal” attempts at notification of class members had endangered the chances of a settlement altogether – had requested a proportionate share of $1.3 million they claimed their efforts had produced for class members. But she said to deny approval at this stage could create a situation in which the parties would spend still more continuing to litigate the case or potentially leave class members, named plaintiffs and attorneys – who she said had “provided a valuable service as private attorneys general” – with potentially nothing, should American Express pull its offer from the table and move its appeal forward, and the Seventh Circuit, using recent case law, send the claims to arbitration. “The court chooses what it perceives to be its least bad option and grants final approval,” Gottshall said. American Express was represented in the action by attorneys with the firms of Hinshaw & Culbertson, of Chicago; Stroock & Stroock & Lavan, of Los Angeles; and InfoLawGroup LLP, of Chicago.